When Thomas Pogge travels around the world, he finds eager young fans waiting for him in every lecture hall. The 62-year-old German-born professor, a protégé of the philosopher John Rawls, is bespectacled and slight of stature. But he’s a giant in the field of global ethics, and one of only a small handful of philosophers who have managed to translate prominence within the academy to an influential place in debates about policy. A self-identified “thought leader,” Pogge directs international health and anti-poverty initiatives, publishes papers in leading journals, and gives TED Talks. His provocative argument that wealthy countries, and their citizens, are morally responsible for correcting the global economic order that keeps other countries poor revolutionized debates about global justice. He’s also a dedicated professor and mentor, at Yale University — where he founded and directs the Global Justice Program, a policy and public health research group — as well as at other prestigious institutions worldwide. By Pogge’s own count, he’s taught 34 graduate seminars, given 1,218 lectures in 46 countries, and supervised 66 doctoral dissertations. But a recent federal civil rights complaint describes a distinction unlikely to appear on any curriculum vitae: It claims Pogge uses his fame and influence to manipulate much younger women in his field into sexual relationships. One former student said she was punished professionally after resisting his advances. Pogge did not respond to more than a dozen emails and phone calls from BuzzFeed News, nor to a detailed letter laying out all the claims that were likely to appear in this article. Yale’s spokesperson, Thomas Conroy, declined to comment. The allegations against Pogge are an increasingly open secret in the international philosophy community, an overwhelmingly male field in which, many women say, pervasive sexual harassment is an impediment to success. But for the first time, confidential documents obtained by BuzzFeed News reveal the extent of the claims against Pogge. Eventually, a hearing panel did find “substantial evidence” that Pogge had acted unprofessionally and irresponsibly, noting “numerous incidents” where he “failed to uphold the standards of ethical behavior” expected of him. But the panel voted that there was “insufficient evidence to charge him with sexual harassment,” according to disciplinary records. More recently, Yale received letters from concerned professors and students at other institutions providing further evidence of Pogge’s alleged misconduct and asking Yale to reinvestigate. But Yale said those allegations were outside of its jurisdiction and that it would not reopen the case. 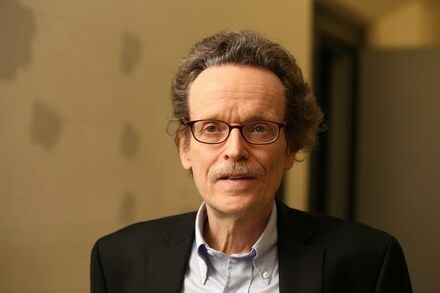 Pogge is still at Yale, directing the Global Justice Program and teaching philosophy and international affairs classes on the New Haven, Connecticut, campus. 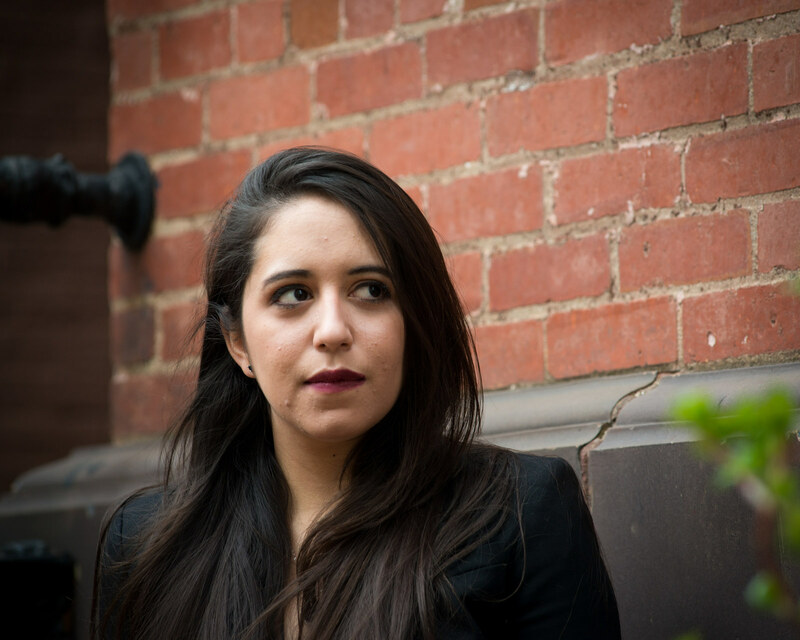 When Lopez Aguilar first reported Pogge for sexual harassment, she said, Yale offered to buy her silence with $2,000. The claims against Pogge pose critical questions about how universities manage the power dynamic between faculty members and students. But they also raise questions that are more, well, philosophical. Can someone fight tirelessly to balance the inequities of global power while at the same time abusing his own power? And can a discipline built on the quest to describe a just society — and suffering from a major diversity problem — afford to ignore these issues? Pogge, then 56, and Lopez Aguilar, then 21, started corresponding about her thesis. Emails obtained by BuzzFeed News show that Pogge chided Lopez Aguilar for being too formal with him. She told herself it was normal to discuss her thesis on a bike ride with him and at his home, alone. Pogge also asked her to be his interpreter during a conference in Chile shortly after graduation, adding that she could stay in a hostel or was “welcome” to stay in his hotel room if she was “comfortable doing so; we can upgrade the room.” Lopez Aguilar said she didn’t want to make demands, so she offered to sleep on a cot or bring a sleeping bag, but she always expected that he would book them in separate rooms. When she arrived at the hotel, she found that there was only one, but still didn’t think it was her place to object. Lopez Aguilar said she tried her best to get through the trip, but one night as she sat at a desk translating documents, she felt Pogge slide in behind her on her chair, press his erection against her and grab her breast. She fled the room but had nowhere to go, she would later tell Yale. When she came back, Pogge said nothing. 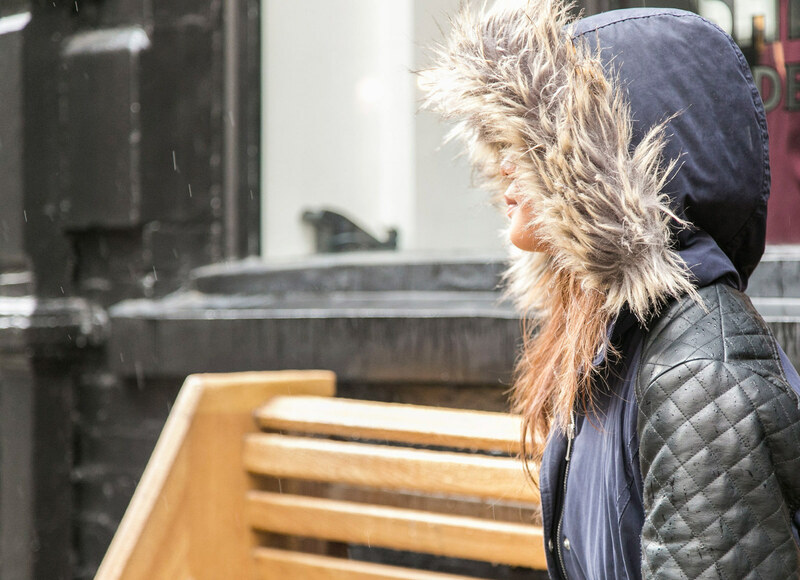 “There’s something not natural all of a sudden,” she frantically Gchatted to her boyfriend. “I’m not feeling comfortable.” She asked him to stay online as she slept. On the flight back to the United States, Pogge fell asleep with his head in Lopez Aguilar’s lap. She said she couldn’t wait to leave him at baggage claim. But he was coming to stay with her in D.C. in just a few days, and she said she felt too intimidated to refuse him. The visit was awkward. Nervous that her fellowship was in jeopardy, Lopez Aguilar said, she tried to change the tone with some effusive emails. In July, she asked Pogge for a “theoretical” document she could show to a landlord to prove she was employed by the Global Justice Program. He wrote her one on Yale stationery, which stated she would start on Sept. 1, 2010, and would earn $2,000 per month. Still, she said, she felt anxious about the arrangement, so she showed up to work two days ahead of that date — only to be told there was no record of her employment. 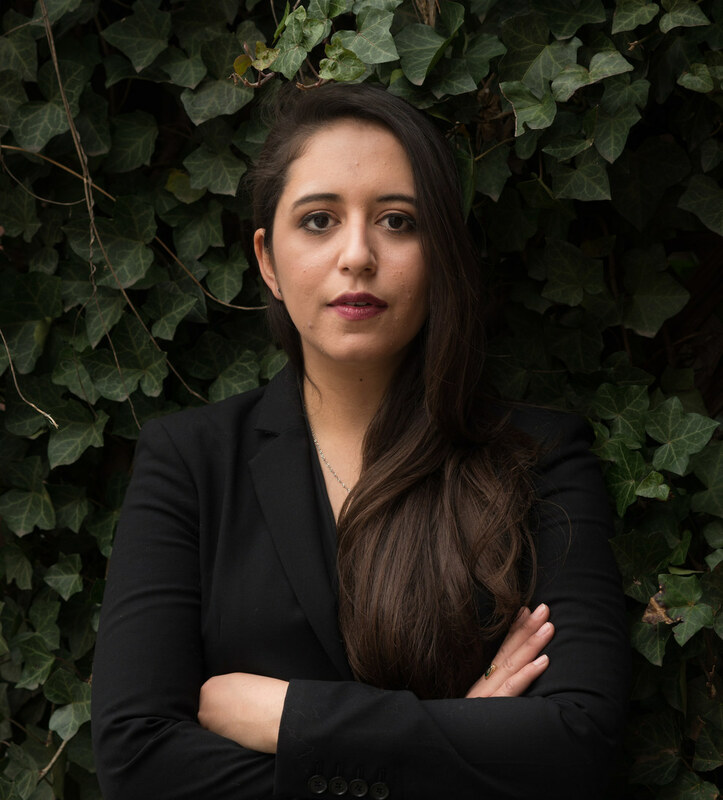 Lopez Aguilar said she was crushed: As she saw it, she had withstood months of unwanted, unprofessional behavior from a man she believed to be her mentor, only to be fired under bewildering circumstances after she had rejected his advances. She decided to report Pogge for sexual harassment. But she didn’t know whom to report him to. 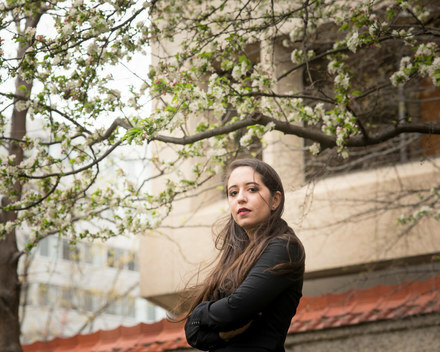 And according to her recent federal complaint, Yale officials told her she had no recourse since she was no longer a student and hadn’t ever truly been an employee. She signed the agreement. She said she didn’t think she had any recourse. She told Yale that Pogge had slid behind her, but she did not specifically mention an erection, or his hands on her breasts. The following spring, however, 16 other current and former students filed a Title IX complaint with the Department of Education claiming that Yale had failed to properly address their sexual misconduct claims. A formal investigation was opened. (It concluded that Yale had underreported incidents of sexual violence “for a very long time,” among other violations.) Their complaint had nothing directly to do with Pogge, but it motivated Lopez Aguilar to try again. This time, she said, she was told the nondisclosure agreement she signed was not actually binding. So Lopez Aguilar filed an official sexual harassment complaint to Yale on May 17, 2011. She brought up the harassment accusation that Pogge told her he faced at Columbia, and wrote out her own side of the story in painstaking detail. She would later say she stopped short of the whole truth on one point: She said that in their hotel room in Chile, Pogge had slid behind her in the chair so that his “pelvic area” touched her buttocks, but she did not specifically mention an erection, or his hands on her breasts. Yale assigned an arbitrator and hearing panel to the case that fall. Pogge told the hearing panel that he had indeed been accused of sexual harassment at Columbia, but that the allegation was false. Yale knew about it, he said, and an official “took great pains to investigate what had happened” before offering him a job. “This was by far the most traumatic event of my life, as can be seen, for instance, from the gap it left in my publication record,” Pogge wrote. As for his interactions with Lopez Aguilar, Pogge insisted he did not have “any non-professional relationship with or intentions toward” her, the arbitrator wrote in her report. Lopez Aguilar was a weak student, he said, who from the beginning had worked toward “relaxing the terms of the relationship.” He never meant to offer her a paying job, he wrote; she knew he was just trying to help her stay in the U.S. after college. Pogge never forced Lopez Aguilar to share a hotel room in Chile, he continued, or made any sexual comments or advances to her. He acknowledged that they watched a movie together on a bed and he slept in her lap during the flight home, but said both activities were Lopez Aguilar’s suggestion. Given his “contribution of frequent flier miles to her trip to Chile and given my knowledge that her apartment was large and shared with her boyfriend,” Pogge wrote, he thought it was fine to accept her hospitality in D.C. He said Lopez Aguilar knew the letter he gave her to show her landlord was fake, and asked the panel why he would have “agreed to supply the non-genuine job offer needed to solve her apartment problem” if he had “been disposed to retaliate” against her after their trip to Chile. A hearing panel found “substantial evidence” that he “failed to uphold the standards of ethical behavior” for a mentor. The fact-finding arbitrator, a former judge who teaches at Yale, also spoke with students who said Pogge was perfectly professional. Pogge’s behavior was “at best confusing coming from a charismatic professor who was able to offer her an affiliation in an organization that interested her intensely, and at worst likely to make this young woman think that she was likely to be asked to have a close and perhaps intimate friendship,” she wrote. She found his anger at Lopez Aguilar after she showed the letter he wrote her to the Global Justice Program “disproportionate to the events,” and said he provided “no credible explanation” for ever having said he would pay her a salary. But the judge also said that Lopez Aguilar had minimized her own role in sending Pogge “intimate” emails and proposing meetings that resembled dates, and that those cheery emails after their trip made her story less credible. “It appears to me that Complainant’s reaction at being out of Respondent’s good graces in the fall of 2010 has led her to recast some of the earlier interactions,” she wrote. A subsequent hearing panel found “insufficient evidence” to determine whether Pogge had made direct sexual comments or advances to Lopez Aguilar, but “substantial evidence” that he “failed to uphold the standards of ethical behavior” expected of him as her mentor and employer. In the end, however, the panel decided his actions did not constitute sexual harassment. Only one note went into Pogge’s permanent record. It was for misuse of Yale stationery. Afterward, Lopez Aguilar “fell apart,” she said. A psychologist later diagnosed her with post-traumatic stress disorder linked to Yale’s handling of her claims. In 2012, Lopez Aguilar hired Ann Olivarius, a lawyer and Yale alum who had also been the plaintiff in the first Title IX sexual harassment lawsuit against a university. Her legal team found Columbia professors with direct knowledge of the sexual harassment proceedings that Pogge faced there. The author never named the philosopher, but described him as “an old man, occupying a powerful place in academia, who has a penchant for young, inexperienced women.” Commenters quickly guessed it was Pogge, and someone put Lopez Aguilar in touch with the writer. Aye, a philosophy Ph.D. student from one of the poverty-stricken Asian countries Pogge has written about, first met Pogge at a conference in Europe the year before she wrote the Thought Catalog essay. (She is identified by a nickname at her request.) Then 29, she said she was surprised when he tracked down her email address afterward, but told him she was a huge fan of his work. “I will always be cheering you from afar,” she wrote. Aye wrote the Thought Catalog essay in a rage, she said. A recording obtained by BuzzFeed News shows that Pogge read it closely. Aye and Lopez Aguilar said they saw a pattern to their experiences, and joined forces to see if they could find other young students he had treated similarly. One was a young Chinese student whom, Pogge told Aye, he had a relationship with. In a recording obtained by BuzzFeed News, he admitted that he wrote the woman a letter of reference despite never having had any real “intellectual contact” with her. Responding to the growing rumors about Pogge, Yale philosophy professor Jason Stanley made a public request for anyone with knowledge of Pogge’s professional misconduct, “even students in his areas at other universities,” to contact Yale’s Title IX coordinator, Stephanie Spangler. Aye wrote in to share her story and the information about other women. But Spangler told her it did not fall under Yale’s jurisdiction. Separately, Lopez Aguilar said, Yale’s legal department informed her that the time during which she could have taken legal action had expired — and that she was a weak witness, given that she had previously taken medication for anxiety and acknowledged changing her account of that night in the hotel. “Thank you for your expression of concern for the safety of the Yale community,” Spangler wrote. Universities have many reasons to keep sexual harassment investigations secret, including laws in some states that prohibit the disclosure of confidential information, and they take great pains to do so. But in recent years, there have been calls for greater transparency as an increasing number of schools have been accused of shielding high-profile faculty from the consequences of their actions. “We’re currently going through a fraught and difficult period, as people are learning that they can’t get away with the behaviors that used to be taken for granted as normal,” said Jennifer Saul, the philosophy department chair at the University of Sheffield and editor of the blog What Is It Like to Be a Woman in Philosophy, which has posted anonymous stories about sexual harassment since 2010. The relatively small field of philosophy has been rocked by sexual harassment scandals at least three times over the past two years, as male philosophy professors at the University of Miami, the University of Colorado, and Northwestern University resigned after being accused of misconduct by students. Philosophy has a pervasive gender gap. The percentage of philosophy Ph.D.s who are women is lower than 30%, less than in most of the physical sciences, and research has found that top journals publish and cite far fewer women than men. For female philosophers of color, the situation is even worse. Within that climate, aspiring female philosophers can find unwanted sexual advances from a potential mentor particularly devastating. Because of the contracts that govern their employment, tenured professors who face sexual misconduct claims are much harder to discipline than students accused of similar offenses. This discrepancy can make for complicated proceedings, especially as the federal government has put pressure on universities to investigate and resolve sexual harassment cases without giving much guidance about what to do when the accused is a tenured faculty member. Some universities have tried to get ahead of the problem by enacting blanket bans on romantic or sexual relationships between teachers and students. 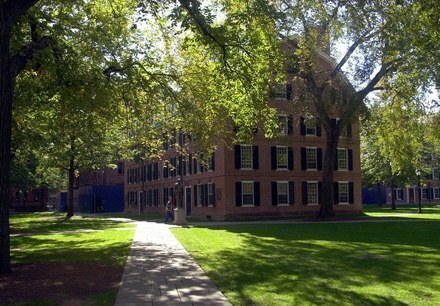 In 2010, Yale banned professors from pursuing “amorous relationships” with undergraduates, noting they are “particularly vulnerable to the unequal institutional power inherent in the teacher-student relationship and the potential for coercion.” But Yale didn’t appear to question whether Pogge violated that policy in his relationship with Lopez Aguilar. Leiter stipulated that he did not know the details of Pogge’s case, or the circumstances of his hiring. But he observed that as more of these once-secret accusations become public, professors may find themselves less insulated from the effects. “These days, someone who has been credibly publicly accused is not hirable,” he said. But the allegations against him have also traveled widely, in recent years, attracting attention in philosophy departments around the world. In 2014, a fundraiser for Lopez Aguilar’s legal costs raised over $7,000. BuzzFeed News spoke with three women who have worked alongside Pogge, all of whom said he had treated them with respect. One said she felt personally injured by rumors to the contrary. They would not speak on the record. But others said the news has forced them to re-evaluate the contemporary they thought they knew. Nonetheless, some said they feel a personal responsibility to try and curb his influence. But Lopez Aguilar, now the spokesperson for a reformist political movement in Honduras, said she no longer holds out much hope that these processes will work in her favor. That’s why she also hopes to force a broader conversation about the way these cases play out, and the factors that might influence the way we view them. Pogge uses philosophy as a powerful tool with which to solve global problems — a fact that greatly enhances the discipline’s real-world credibility. Could that have inclined his fellow philosophers to tolerate behavior they would otherwise condemn? Or is the discipline simply sexist? Finally, what is our collective responsibility — to put it in the language of global ethics — when the flawed humans we enshrine as intellectual heroes are accused of being far from heroic? In his writing, Pogge argues that the power imbalance between rich countries and poor countries is so great that poor countries cannot reasonably be said to “consent” to unfavorable agreements between them. Katie Baker is a national reporter for BuzzFeed News and is based in New York.